The purpose of this webinar is to share preventative care tactics used to mitigate behavioral complications and ease the transition from acute care setting to specialty rehabilitation. These tactics will ultimately help reduce long-term cost of care and improve patient outcomes. The challenges a traumatic brain injury can create for patients who want to return to work. Resources found at a specialty rehabilitation center and how these impact patient outcomes and long-term cost of care. How to apply best practices in managing and preparing patients with traumatic brain injury for the transition to specialty rehabilitation. The benefits and reduction in long-term cost of care that comes with identifying and managing problematic behavior early on. 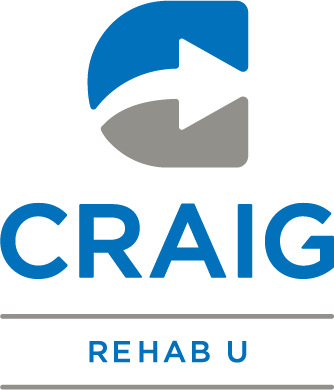 Techniques and strategies to address and manage unfavored or challenging behaviors prior to admission to a specialty rehabilitation center. How to cite behavioral changes and emotions that can significantly affect interactions with others and the ability to develop and maintain social relationships. How to analyze lost wages and the cost savings of quickly addressing behavioral issues after a traumatic brain injury. Jennifer Biggs Arnold BA, RN, MSN CNRN NEA-BC, is the Associate Chief Nursing Officer of the Craig Hospital Nursing Department. Jennifer received her BSN and MSN at Regis University in 2005 and 2011 respectively. She has been a part of the Craig Hospital family since 2003 when she started as a rehab tech. 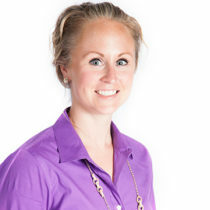 Since joining Nursing Leadership in 2007, Jennifer has been involved in numerous projects including the development of the nursing computer documentation system, chairing the TBI Leadership Committee, and working with a strong interdisciplinary team to make the Brain Injury Summit of 2012, 2015, and 2018 successful conferences. She has had the opportunity to attend multiple educational conferences and has been invited as a speaker many times to speak on the subjects of interdisciplinary collaboration in the brain injury rehabilitation environment. She currently serves on the Brain Injury Alliance of Colorado Board of Directors as the President Elect.